None of us is unaware of the fact that the commonly used toothbrushes are made from plastic and rubber, which ultimately retire to landfills where they refuse to break down any further. Moreover, despite considering dental hygiene as priority, most people can’t afford dental care. 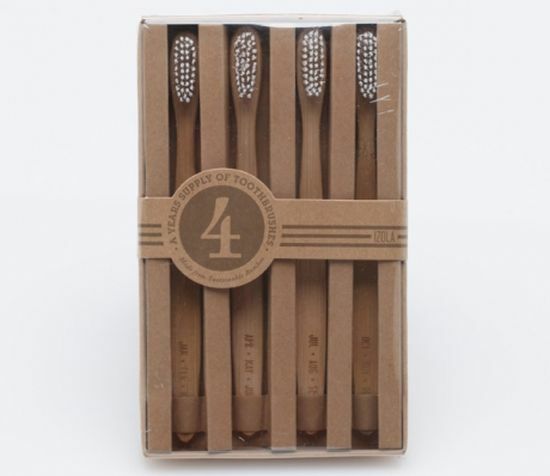 Therefore, aiming to provide a logically green and comparatively affordable dental care solution, a $14 set of four bamboo wood brushes has come to the fore. Each of the 100 percent biodegradable toothbrushes is carved from bamboo, which safely returns to nature after you are done with it. Each toothbrush lasts three months – so, four toothbrushes will keep serving you for a year. The set of four toothbrushes – marked with three months each – will definitely make your daily morning ritual greener than it was ever before.